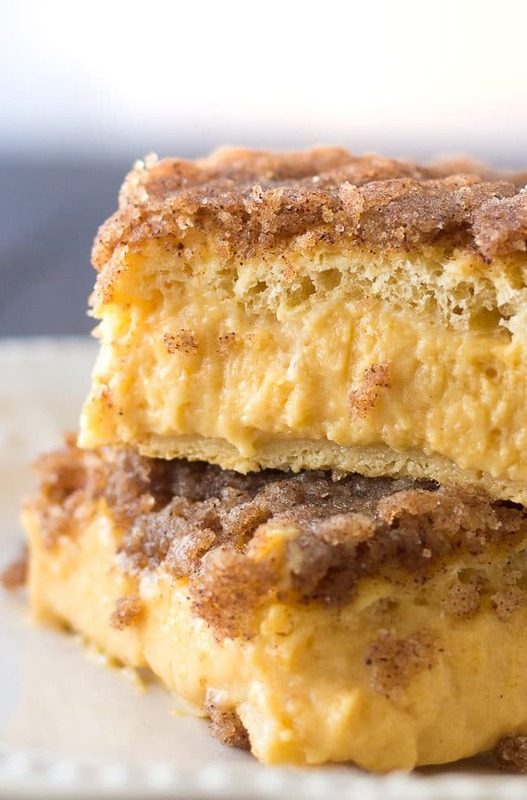 Now that it’s officially October, I no longer feel any shame about sharing my favorite pumpkin dessert recipes, like these pumpkin sopapilla cheesecake bars. 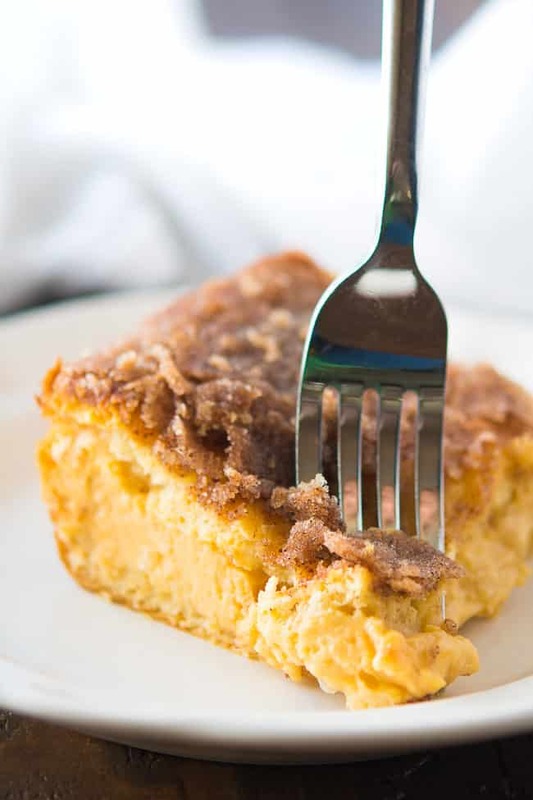 Okay, so I didn’t really feel too guilty about sharing pumpkin recipes way back in August, but it’s definitely more justified now that Halloween and Thanksgiving are right around the corner! I’ve been making sopapilla cheesecake bars using Pillsbury Seamless Crescent dough for a few years now. 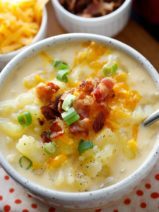 It’s just such a simple recipe and one that I love taking to social events throughout the year. Of course, with fall in the air and pumpkin on my mind, I wanted to try putting a new spin on my tried-and-true recipe. 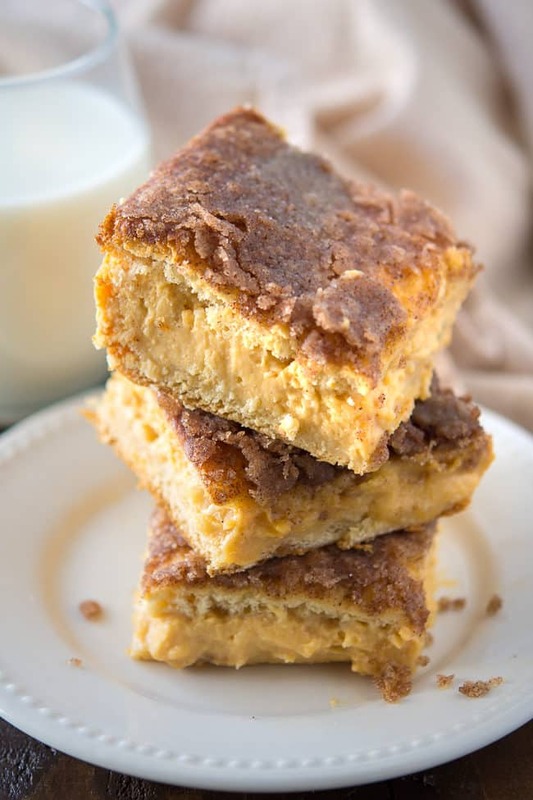 With just a few yummy changes to the recipe I already had, I was able to make these incredibly yummy pumpkin sopapilla cheesecake bars! 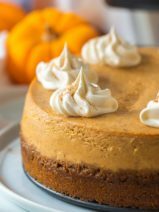 For so many years I stuck with traditional pumpkin pie as our Thanksgiving dessert, but I’ve found that it’s so fun to have different types of pumpkin desserts available to share at the table. 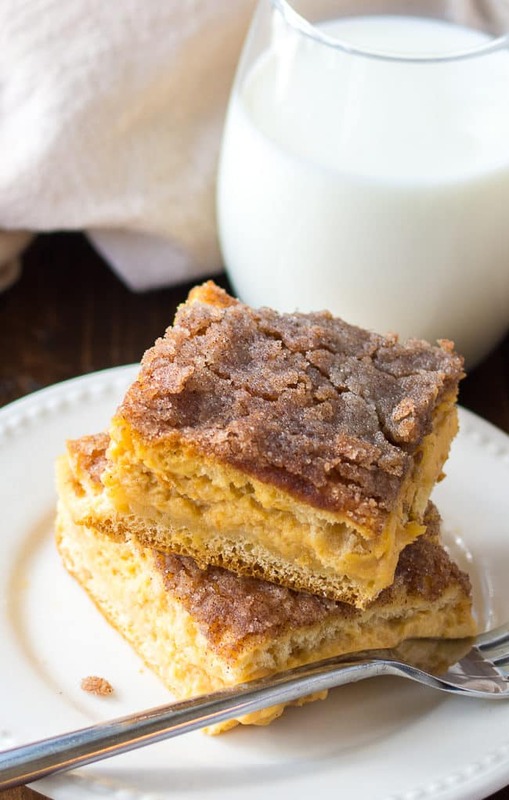 I made these pumpkin sopapilla cheesecake bars for Thanksgiving last year and they were a huge hit with everyone in my family. Such a hit, in fact, that I’ve already had requests about providing a repeat performance this year. I’ve said it before, but I just love using Pillsbury Crescents in dessert recipes. 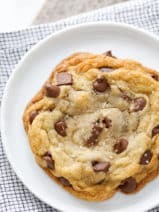 This post isn’t sponsored in any way (though I have worked with Pillsbury several times in the past), I just honestly love the versatility of this ingredient. As much as I wish I was a master baker, I’m really just a regular mom who likes to whip-up easy and yummy recipes for her family. I work quite a bit, so I honestly don’t have time for anything complicated in my life! 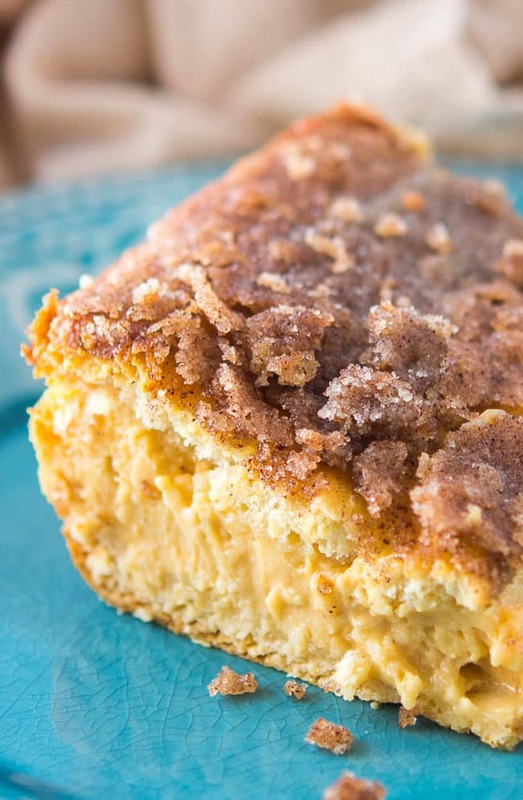 I’m growing quite a collection of my favorite pumpkin recipes here on the blog. 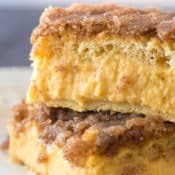 Before you go, don’t miss my famous pumpkin crunch cake and the absolute best pumpkin cookies you’ll ever eat! 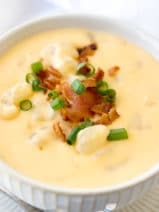 Grab the recipe below, but not before you pin it. 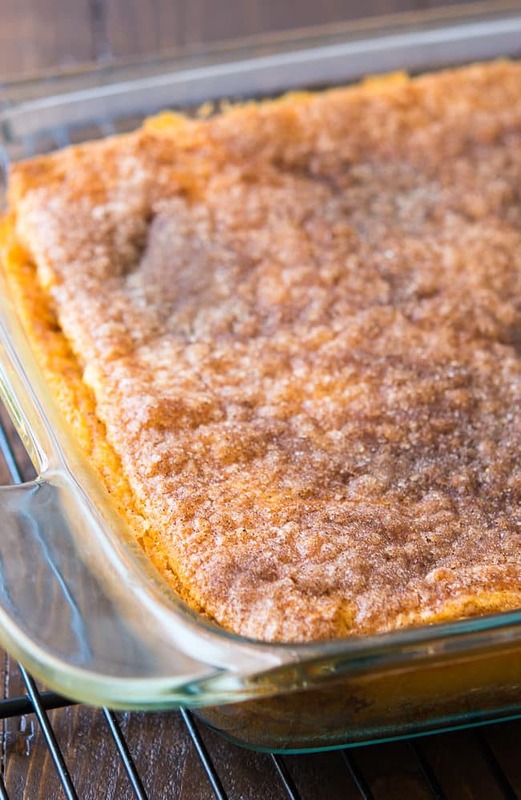 You definitely don’t want to miss this perfect pumpkin dessert! Unroll and spread 1 can of the seamless crescent sheets into the bottom of an ungreased 9 by 13 glass baking pan. Set aside. For the filling: In a medium bowl using an electric mixer combine the cream cheese, sugar and the vanilla, beat until smooth. Add the pumpkin pie filling and beat for approximately another 30 seconds until smooth. Pour over the top of the crescent sheet, spread evenly. In a small bowl stir together the sugar and the pumpkin pie spice and set aside. Melt the butter and set aside. Unroll and spread the remaining crescent dough sheet over the top of the pumpkin mixture. Spread the melted butter evenly over the top. Evenly sprinkle the sugar and pumpkin pie spice mixture over the butter. Bake for 25 to 30 minutes. Cool completely on a wire rack then place in refrigerator until set. Should I change anything about the recipe if I’m using pumpkin purée instead of pumpkin pie filling?